Water is at the core of the Long Island existence. We rely on groundwater to drink. That same groundwater is the primary source of freshwater and nitrogen to our coastal ecosystems. 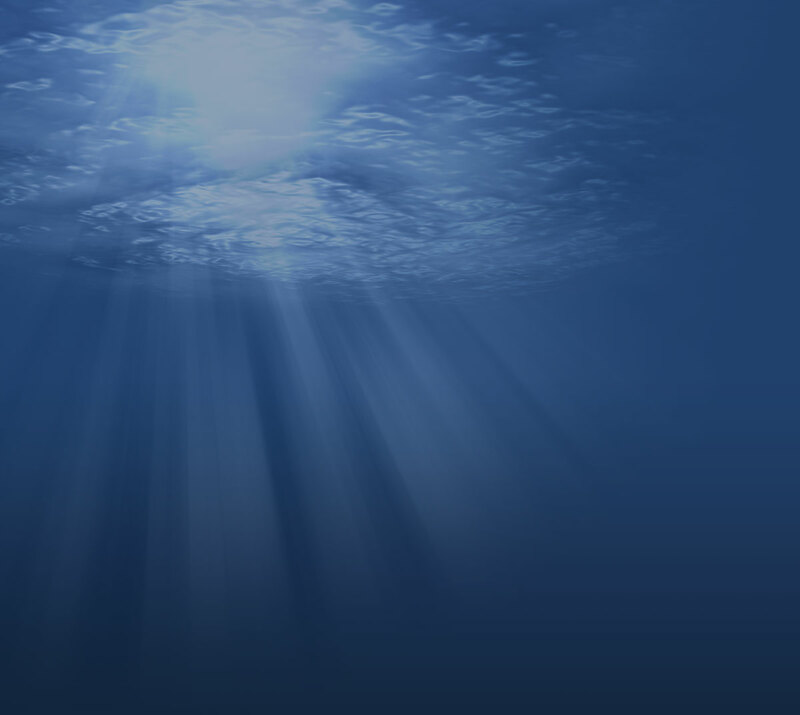 We are surrounded by water within which we swim, boat, and recreate. Recent trends in water quality on Long Island have been troublesome. Toxic chemicals are contaminating drinking water supplies. Nitrogen levels in groundwater have risen by more than 60% in recent decades and coastal ecosystems have suffered. Since the late twentieth century, aerial coverage of critical marine habitats on Long Island such as eelgrass and salt marshes have declined by up to 80% and Long Island's top shellfisheries have declined by up to 90%. In 2018, many of the factors driving these negative trajectories in shellfish and habitats were persistent problems. Outbreaks of brown tides, rust tides, paralytic shellfish poison, toxic cyanobacterial blooms, hypoxia, and acidification were documented and are all occurrences directly and indirectly linked to excessive nitrogen loading. Emerging research suggests climate change is likely to significantly worsen all of these impairments in the near future, meaning significant and immediate actions are needed to mitigate these events. Thankfully, multiple solutions to water quality impairments are emerging. 'In the water' remediation approach involving bivalves and seaweeds are showing promise for locally mitigating nitrogen loads and algal blooms. The New York State Shellfish Restoration Program will significantly expand these efforts in the coming years. The New York State Clean Water Technology Center at Stony Brook University has identified cost-effective technologies to dramatically reduce nitrogen loads from individual homes and to coastal water bodies. Implementation of such technologies coupled with 'in the water' solutions will be required to reverse the decadal negative trends in water quality and fisheries. Stony Brook University researchers simulated conditions in degraded estuaries to assess the effects on larval crabs and found they died at increased rates. Blue crab larvae died at greater rates in waters with higher acidity and lower oxygen levels — conditions likely to intensify with climate change and increased nitrogen, according to a new study by Stony Brook University researchers. While the impacts of low oxygen on marine life have been studied, the research is the first to assess the consequences of these two stressors on larval crabs, the authors said. High acidity, or low pH, and low oxygen, known as hypoxia, are worst in summer, when blue crabs are breeding, according to the peer-reviewed paper published in the online journal PLOS One. The effects could offset a predicted boon for Long Island's blue crab population caused by warming waters, authors said. The Stony Brook study used egg-carrying female crabs collected in Shinnecock Bay and shipped from the University of Maryland, Baltimore County, and subjected the larvae to pH and oxygen levels that could be found in back bays. "We wanted to simulate real-world conditions in degraded estuaries," said lead author Stephen Tomasetti, a doctoral student at the university's School of Marine and Atmospheric Sciences. The tasty crustaceans, also known as blue claw crabs, are found up and down the East Coast, including in the Island's bays and harbors. From 2010 through 2016, commercial fishermen in the United States had an annual catch worth at least $175 million, according to federal statistics cited in the paper. The research was conducted in the lab of Christopher Gobler, a professor in the school. He and students Brooke Morrell and Lucas Merlo were co-authors. With more than 100 marine species recorded as extinct — primarily due to overfishing — and more than 100 million tons of fish taken out of the water each year, our oceans and the animals that call them home are badly in need of protection. That's why the Ocean Sanctuary Alliance (OSA) is leading the charge to conserve at least 10 percent of the world's marine and coastal areas by 2020 and to ensure that ocean protection is effective and durable. It's also why the Alliance is investing in the work of Stony Brook University professor Ellen Pikitch — one of the world's leading experts in ocean conservation. In recognition of her proven conservation track record and current portfolio of promising research, they've created the Endowed Professorship in Ocean Conservation Science in the School of Marine and Atmospheric Science (SoMAS). As the inaugural holder of the position, Pikitch will expand her transformational work while educating the next generation of leaders in ocean conservation. 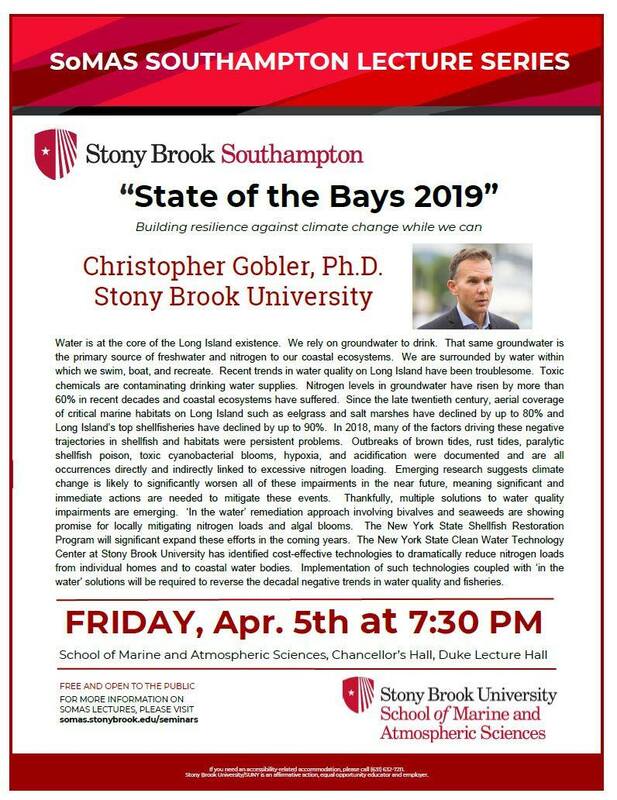 "From the moment I met Dr. Pikitch in 2008, she has approached her role as a change agent with the extraordinary dedication and the highest scientific standards," said Rosalind Walrath, the Alliance's treasurer and a member of the Dean's Council at Stony Brook's School of Marine and Atmospheric Sciences. "Ellen is a truly powerful asset to the cause of ocean conservation." Pikitch, of course, is no stranger to effective advocacy based on impactful research. By the time she arrived at Stony Brook in 2008, her work had led to the passage of the U.S. Shark Finning Prohibition Act of 2000, the international ban on the trade of wild sturgeon caviar and the listing of beluga sturgeon as threatened with extinction under the U.S. Endangered Species Act. The research behind these policies originated from the Institute for Ocean Conservation Science (IOCS), which she established at the University of Miami in 2003 and relocated to Stony Brook when she joined the faculty in 2008. "Ellen Pikitch's track record of achievement in fisheries science and ocean conservation speaks for itself," said Stony Brook University President Samuel L. Stanley Jr. "The Endowed Professorship of Ocean Conservation Science serves to elevate her voice, enhancing the profile of the Institute for Ocean Conservation Science, and that of Stony Brook University as a whole." "Endowed professorships help universities attract and retain the best scholars and researchers in their fields," added Paul Shepson, dean of the School of Marine and Atmospheric Sciences. "Having Ellen Pikitch as the inaugural Endowed Professor in Ocean Conservation Science makes a powerful statement about the contributions that we aspire to make at Stony Brook, both to science and to the welfare of our planet." For her part, Pikitch recognizes the opportunities created by an endowed professorship — supported by an anonymous donor in addition to OSA — which will empower her to follow her instincts in pursuit of further advances. "I am truly grateful to the donors, including the Ocean Sanctuary Alliance, whose philanthropy has made this endowed professorship possible," Pikitch said. "The funding of an endowed professorship makes it possible to act quickly when inspiration strikes, and pursue novel solutions with potentially far-reaching significance." There's also a certain fulfillment in continuing her work at Stony Brook, where the opportunities created for students resonate with Pikitch's own experiences as a first-generation college student who attended the City College of New York tuition-free. "Stony Brook is a fantastic university for the sciences," Pikitch said, "and it's a public institution. Without public support, I wouldn't have even been able to go to college, and knowing that students at Stony Brook have similar opportunities is one more reason that I am so proud to continue my work here." As she blends her work to protect the world's oceans with the education of future fisheries and conservation scientists at Stony Brook, Pikitch is making an impact that will be felt for generations to come. 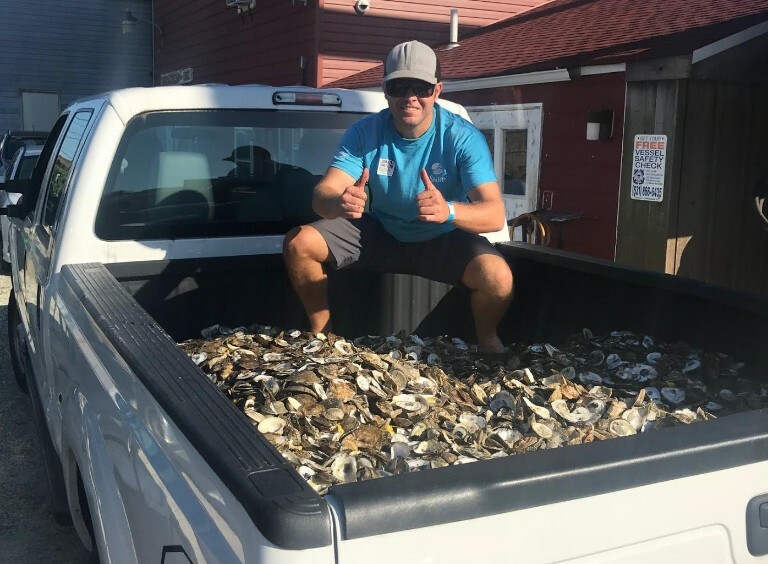 We are very proud to announce that by attending the Third Annual Blue Island Oyster Festival, hosted by Blue Island Oysters, we have doubled the amount of shell collected through our Shell Recycling Program so far! 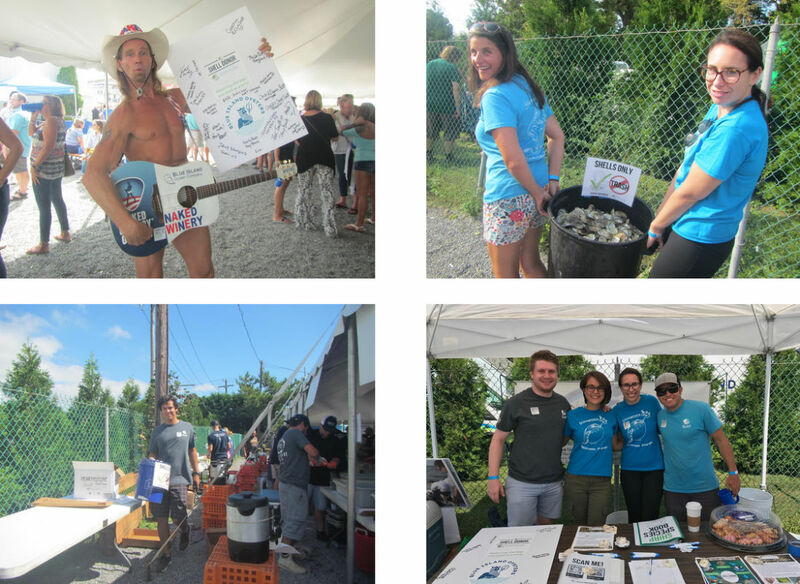 We had a blast at the event... We enjoyed great music, tasty oysters, and spread the word about our restoration efforts! Even NYC's Naked Cowboy supported our program. We can't wait to attend next year! Shell Yeah!! 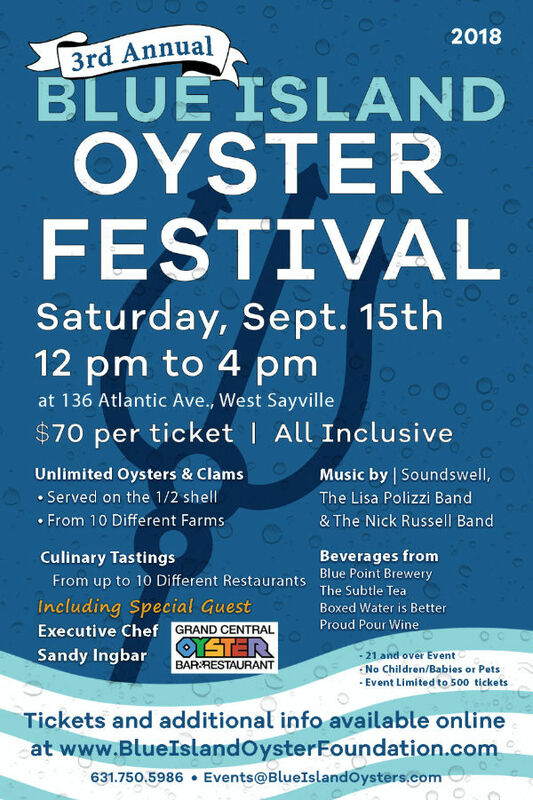 This Saturday at 12pm, ShiRP will be attending the Blue Island Oyster Festival to collect shell for our Shell Recycling Program. This is the second year we have partnered with Blue Island Oysters, and we could not be more excited! Be on the lookout for our Info-booth, our volunteers, and our "Shell Only" buckets! As mentioned in our last newsletter, all collected shell will be used to create oyster reefs in Shinnecock Bay. We hope to see you there! Moustache Brewing Co. has joined 1% for the Planet, a global philanthropic organization supporting environmental causes. The Riverhead microbrewery is pledging to donate 1 percent of its sales to support nonprofit organizations focused on the environment. Moustache will today release its first beer brewed for its 1% for the Planet commitment: "Beyond the Shore," which it describes as "a gose brewed with sea salt and coriander." Sales from this release will benefit the Shinnecock Bay Restoration program, the company said in a press release. "It's important to us to make positive changes in the world around us while inspiring others to do the same," Moustache Brewing Co. said. "Joining 1% For The Planet will allow us to strengthen our commitment to the environment and support the work of our charity partners." Collectively, 1% for the Planet Members have donated more than $175 million to environmental nonprofits to date. "We are thrilled to welcome Moustache Brewing Co. to our global network," said Kate Williams, CEO of 1% for the Planet. "Currently, only 3 percent of total philanthropy goes to the environment and only 3 percent of that comes from businesses," Williams said. "We need more business like Moustache Brewing Co. to do its valuable part to increase giving and support on the ground outcomes." Founded in 2002 today the organization comprises a network of more than 1,400 member businesses, a new and expanding core of hundreds of individual members, and thousands of nonprofit partners in more than 60 countries. Moustache Brewing Co. was founded in 2012 by husband and wife team, Matthew and Lauri Spitz. They opened their doors at 400 Hallett Avenue in Riverhead in 2014. See article at the Riverhead Local site.